Well, I've donated 1% of every dollar I spent for the last 40 years to transit. Now it's up to 1.5% of every dollar I spend for the next 40 years. Would it be too burdensome for the big corporations and institutions and real estate developers to contribute, say, one-third of the amount we little folks do? Last edited by fieldm; 07-07-2017 at 12:32 PM..
Hey arjay, they already do this. Right now, funds are going to arts type programs for the Beltline, but as the transit component is added I'm sure that money will be redirected. They proudly display that a portion of parking revenues go to fund the Beltline and other alternative transportation methods. Jamestown is one of the good ones and they like to support smart development. There is pent up demand for office space, even at their insane price per square foot. My company is about to expand to some "hidden"/unused space above the parking garage. Jamestown is finding every inch of free space available and leasing it out. Looking forward to the next phase. I bet we will see them cap off the slum garage (the freestanding one) and take out the building currently housing Dancing Goats. I don't see the auxiliary building housing Dancing Goats going anywhere. There is a preschool, Binders, City Winery, etc. That isn't donated. That's required. So how much have you donated? Well, in addition to my required donations over the last 40 years and the 40 years to come, I have helped MARTA out in a number of ways. For example, I ride MARTA and encourage others to do so even though they think I'm crazy. I have attended many of their meetings and befriended many people who work there. I always pick up trash when I see it at stations or on a vehicle. We gave our employees free MARTA cards. I have helped MARTA with various specific projects as well. That's definitely not going anywhere. 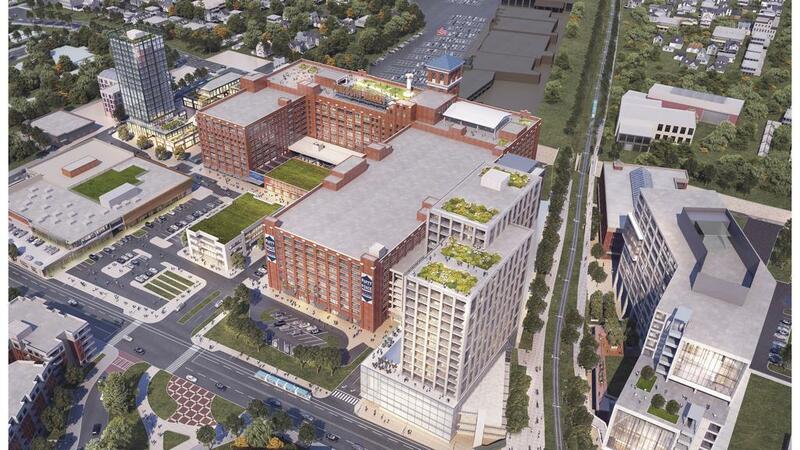 The primary areas targeted for the expansion (new buildings) are the surface parking lot at the corner of Glen Iris and Ponce and on top of the parking podium along the Beltline. The reason that Apple is suddenly interested in PCM is because they are achieving a high sales/sf. PCM, like every big retail development, would have loved to have Apple from the start but Apple wasn't interested at the time. It's going to be a welcome addition. Hope the addition includes more active lifestyle stuff and less shopping and eating. A rock climbing wall and a roller rink would be great. A few racquetball courts maybe, a place for dance lessons that kind of thing. Atl has enough shopping and eating. We are more multidomensional than that. Many of those active lifestyle stuff requires cheap rent to keep prices low. Mike Jones "back then you didn't want me but now that I'm hot now you all up on me"